In today’s world, you cannot get anywhere without credit. A good credit report can help you buy a car, land a dream job or build an expansion on your home. A bad credit report can destroy all of that, and subject you to harassment by debt collectors. But what happens when your credit report is inaccurate? At Paulson & Nace, PLLC, we protect clients whose lives have been upended because of Fair Credit Reporting Act (FCRA) violations. We know that one mistake on your credit report can haunt you for years, and we help you obtain the answers and the results you need in order to live your best possible life. 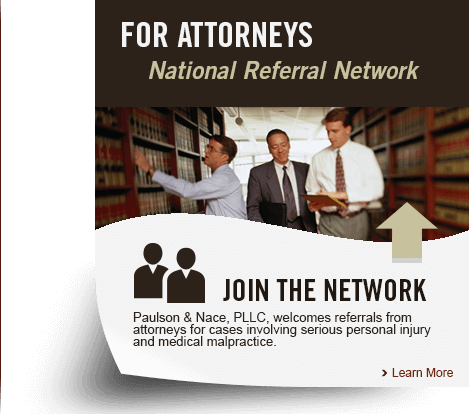 When you need a skilled Washington, D.C. consumer protection attorney who can help you fight back, you want Paulson & Nace on your side. The Fair Credit Reporting Act regulates the credit reporting agencies (CRAs) and the accuracy, fairness and privacy of their information about consumers. The FTC protects your privacy by aggressively enforcing the conduct of CRAs, those who send them information and consumer report users. The CRAs collect and compile information about consumers. Prospective employers, landlords, and creditors access your credit information to help them decide whether they will hire you, rent you a home or extend you credit. The FCRA regulates who can access your credit report, what can be included in it and how long the information stays on the report. If you find on your annual review of your credit report that there is some inaccurate or outdated information in it, you can contact the CRA and request that the information be corrected. They can investigate the issue and correct the errors. If you have followed the procedures for reporting an error and the CRA has not corrected your credit report, it is time to contact Paulson & Nace. Together, we may be able to file a lawsuit against the CRA or the party that is supplying the inaccurate information. If you learn that your employer, prospective employer, or another institution has compiled a credit report about you without your consent, you may have a lawsuit for the violation of your privacy rights. At the law firm of Paulson & Nace, we offer a no-obligation case review for those who have been harassed by telemarketers and debt collectors over the phone, or who have struggled to get errors on their credit reports corrected. To learn more about your rights, please call our Washington, D.C.-based law firm at 202-930-0292 or fill out our contact form to reserve a consultation.